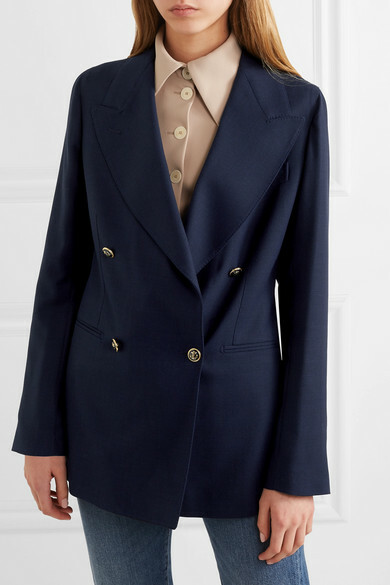 Couple and design duo Margherita Cardelli and Gerardo Cavaliere created Giuliva Heritage Collection with the desire to make long-lasting tailoring that fits beautifully. 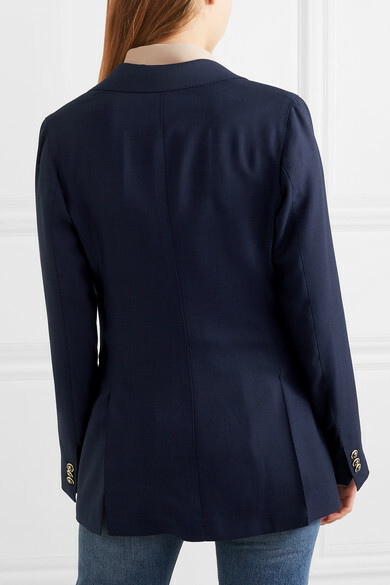 Crafted in the brand's Italian atelier, this double-breasted 'Stella' blazer is made from wool and fastens with nautical gold buttons that have been sewn on by hand. 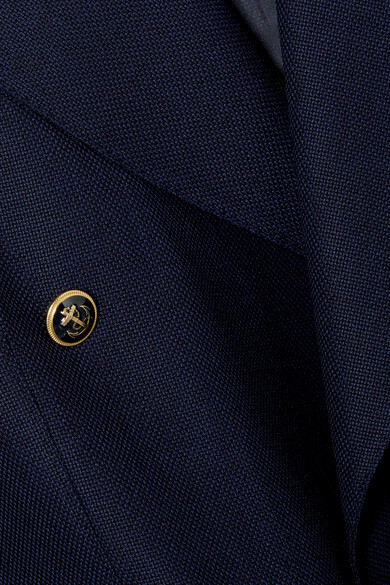 Offset the wide peaked lapels with a crisp shirt. 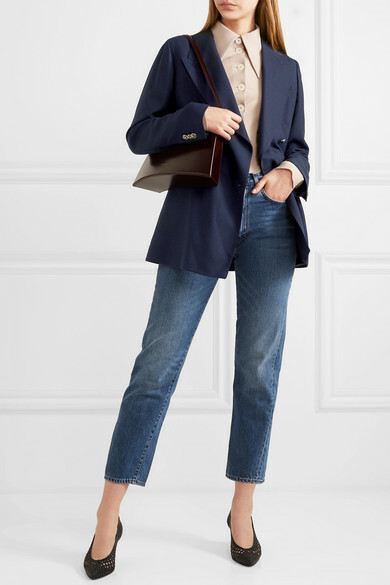 Shown here with: Totême Jeans, A.W.A.K.E. Shirt, LOW CLASSIC Shoulder bag, Souliers Martinez Pumps.